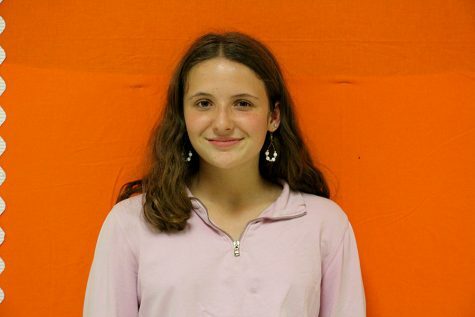 Ellie Barnett-Cashman is excited to start her first year in newspaper as a sophomore at South High School. She is hoping to get some good writing and interviewing skills out of newspaper this year which might come in handy when she finds a career in the field of psychology in the future. In her freetime Barnett-Cashman finds herself spending lots of her time outside and hanging out with friends. She also enjoys thrifting for the fun new fashion trends and ends up looking cute and stylish every day. Her favorite kind of music is hip hop and rap and listens to artists like Frank Ocean and Khalid. Gymnastics is something that Barnett-Cashman has been doing since she was a toddler and continues to practice it to this day. She also has been playing ultimate frisbee at South High School going on the second year. Barnett-Cashman loves all sorts of food and desserts but her very favorites are tamales and pupusas and for dessert some chocolate cheesecake. She also likes dogs, especially her own golden retriever Rosie. Barnett-Cashman is most proud of all the backpacking and canoe trips she goes on. Her goal in overall life is to be satisfied.